Filmmaker and documentary photographer Phil Borges explains what's behind his remarkable photos of people in different traditional societies of central Asia. Then portrait photographer Annie Leibovitz lets us in on how she documents the worlds of her famous subjects, and shares stories of the road trips that've brought her closer to great American artists. And tour guides to Sicily take listener calls to swap tips on enjoying the traditions of Italy's liveliest island. Phil Borges' website includes examples of his "social documentary" photography from various locations around the world. Photos from Phil's book about indigenous Tibet, "Tibet: Culture on the Edge," are included in a review from Outside magazine. 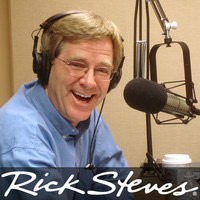 Phil Borges spoke more about his work in Tibet on Travel with Rick Steves program #305A in August 2014. Annie Leibovitz's 2012 book of photographs and personal essays is called "Pilgrimage." The New York Times review of Leibovitz's "Pilgrimage" includes photos from her book. Through November 4, 2018, Palermo is hosting a special "Manifesta 12" European art exhibit in its role as Italy's Cultural Capital for 2018. Tommaso Pantè's website includes information on two dozen Sicily tours he offers, plus traditional Sicilian recipes from his mother. Sarah Murdoch's website includes tips for packing light, information about her tours and stories from her latest trip to Sicily. Cameron Hewitt writes about his recent fact-finding trip around Sicily for the upcoming Rick Steves Sicily guidebook.